I should call this post Escape to the Recent Past, since the book is set in almost modern times, opening in the mid 1950's and closing in the late 1970's. 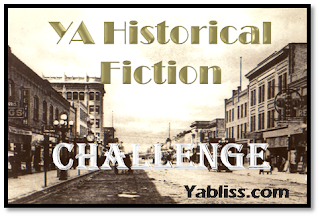 Historical fiction? I’m afraid so, although I’ll be happy if you disagree. I can’t say for sure how this book came to my attention. I was aware of it as a best-seller, a critics’ darling, but had never read an actual review. I knew vaguely that it was about a doctor in Ethiopia. It wasn’t a book I expected to buy. However, I was at the mall with a chunk of time to kill and regretted leaving my book at home. The bookstore beckoned. I went in to browse, not buy—I had too many unread books waiting for me at home. Accusing me. But browsing wasn’t going to pass enough time. 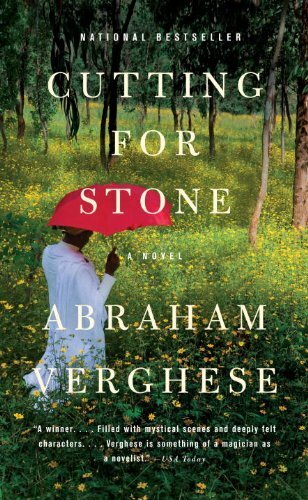 And I saw Cutting for Stone by Abraham Verghese. After reading the first couple of pages, I bought the book. It wasn’t the premise of the story that hooked me—I was still uncertain about that. It was the writing. I was drawn into the narrator’s exquisite world and wanted to know more about it. It wasn’t long before I became as captivated by the tale as by the prose. Verghese writes about twin boys, Marion and Shiva Stone, raised in a mission hospital in Ethiopia during a time of great political upheaval and violence. 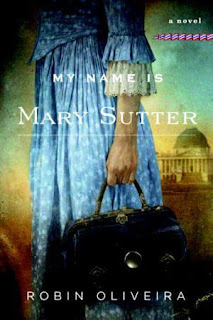 Marion is the primary voice in the novel, a sensitive young man determined to become a physician. He is steady, calm, intelligent, but troubled. There are secrets about his parents that he yearns to uncover. Keeping those secrets are the caring physicians who bring them up, as well as the nuns at the hospital. His brother, the one who should best understand him, somehow does not. Marion and his brother are very alike and yet different in crucial ways that eventually drive them apart. We follow all these characters throughout many years of their lives. We are drawn deep into their relationships and conflicts. And this all takes place at a time of remarkable medical progress in the larger world contrasted with the poverty and warfare in Ethiopia. Cutting for Stone is one of those books that I read too fast because I couldn’t put it down but wish I had spent more time lingering over what it was telling me and how beautifully it was doing the job. Today my post is a response to a giveaway hosted by Whatcha Readin', Books? This question required me to struggle a bit. It's not easy to express something so personal. But I decided to give it a try. What does reading mean to me? The short and simplistic answer is what I allude to in my "about me" section: reading is my safety valve. 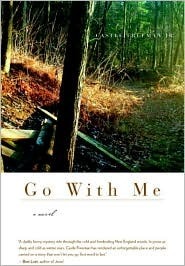 I escape into fiction to relax and to clear my mind of the troubles of every day life in the modern world. However, if I examine the question more deeply I recognize how false an answer that is. Reading isn’t a way to escape from real life, reading has always defined my life. Books are a part of my earliest memories and books are entwined in the memories I have of my children’s lives. Just about everything tangible (and many of the intangibles) that I’ve accomplished in my career(s) are the direct result of this obsessive activity. Reading is not only what I do to relax, it’s what I have done, consciously or unconsciously, throughout my type-A driven life, to succeed. It sounds almost mercenary, but I don’t mean it to sound that way. As a child devouring Watership Down and the Chronicles of Prydain I didn’t think "I need to read this to get into medical school." I read because I couldn’t do otherwise. With every step in my life’s journey, reading has stretched my brain, fertilized my imagination, and taught me to look beyond boundaries to possibilities. And although I may gripe about my type-A driven life, I wouldn’t trade it for the world. I love what I do. I love the reading I do for work to learn something new. Moreover, reading is why I write. The written word has a way of spilling over, doesn’t it? And so what does reading mean to me? It isn’t is verb. Reading is more than something I do– I am a reader. It’s who I am. Please bear with me as I try to create a button. In addition to exploring the wonderful world of blogging, I'm learning to play with my computer. This may be a disaster, but here goes. This week I'm also participating in The Literary Blog Hop hosted by The Blue Bookcase. I have to rank this literary novel highest of all my Greek Week recommendations. It is stunning. 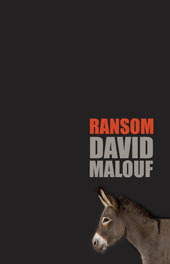 Ransom- A Novel by David Malouf is a retelling of a small portion of The Iliad. Achilles slaughters Hector in revenge for the killing of Patroclus and then treats the hero’s body barbarically. Hector’s father, King Priam mourns his son and also suffers under the heavy burden of kingship. It is his fate to lead a people doomed to be destroyed. These scenes, these themes, have obviously been treated before (even Brad Pitt got into the act!) but Malouf makes the story fresh and exquisitely moving with the beauty of his words. 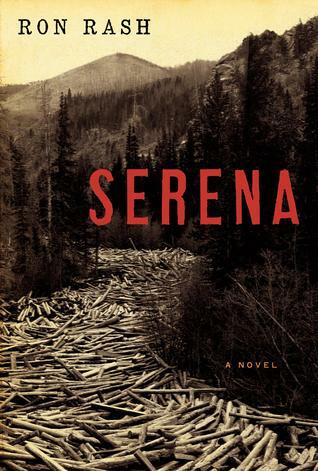 As the characters progress through their painful duties, fragments of memory come to them. We come to understand the history behind the bond between Achilles and Patroclus. We learn who Priam was before he was king. We also experience the little details of the daily lives of the forgotten people of Troy, common people struggling alongside the heroes whose names have been immortalized. Malouf is able to bring out the humanity of the mythological heroes, so that oddly enough, in the midst of epic tragedy, you end up hopeful. My answers are: first, since I've only recently started blogging, I don't think I've lost a follower yet, but I'm sure the day will come. I'll wonder if I said something that offended the follower or if they were just trimming their list. If I lose a whole block of followers at once, I'll know something is wrong! As for the second question, I have stopped following blogs. Not very often, and usually it's because I've checked in several times over the course of a couple months and there have been no new posts. 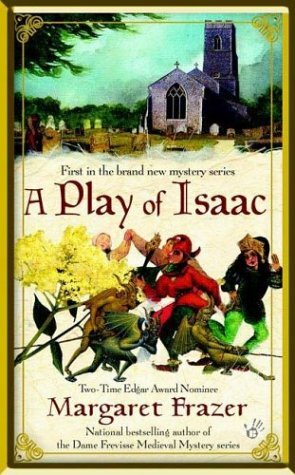 Many years ago, after reading The Mists of Avalon, I was desperate to find something else in the same vein by Marion Zimmer Bradley. I was happy to come across Firebrand. 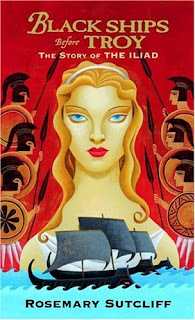 This is a re-imagining of the Iliad through the eyes of Kassandra, the sister of Hector and Paris. She is the ill-fated prophetess of Apollo, doomed to always tell the truth but never be believed. Kassandra is "priestess-born," beloved of Apollo but also sworn to honor and obey an older and more potent Earth Goddess. Many of the same feminist themes present in The Mists of Avalon are also explored in Firebrand. (Kassandra spends time among the Amazon tribes and is more comfortable in foreign lands where women have autonomy and strength than among the Trojans where they are subject to their warrior menfolk.) The storyline essentially follows the outline of the Fall of Troy in the Iliad, but with digressions to explore Kassandra’s development. And it’s these sidetrips that give Firebrand its soul. It’s a passionate and tragic story–how could it be otherwise? 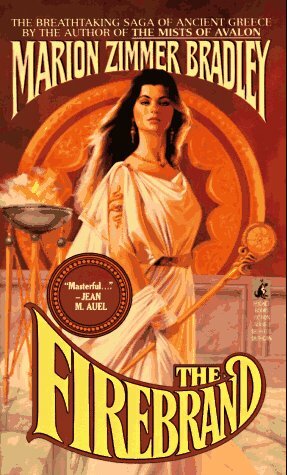 While not exactly a literary tour-de-force (see tomorrow’s post for that), Firebrand is a compelling story that will make your heart ache for Kassandra. 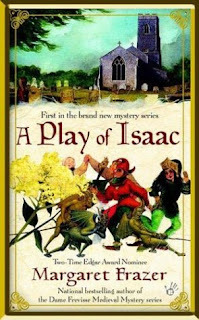 Having read it so long ago (and yet it, like Mists of Avalon, the story stayed with me) I was a little worried it might be a difficult book to find. But luckily, it was re-released in 2009 by Roc (with a less cheesy cover than my 1987 paperback) and so is still in print. In all honesty, it’s my least favorite of the Greek Week readings. Good points are that it is comprehensive and yet, at the same time, it’s short and a very quick read. My problem with it is that it’s fairly dry. 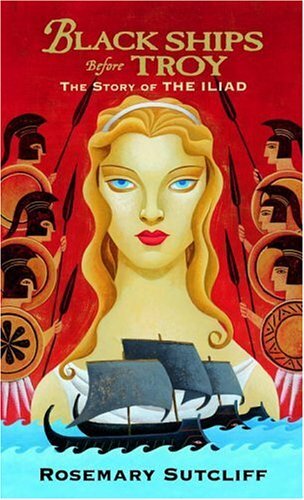 It reads less as a novel and more as though it were a narrative summary of the Iliad—fleshed out a bit to round out the story—but a summary nevertheless. It’s a very good introduction to the story of Troy for anyone who wants to get a handle on who the main players were and a straightforward account of what happened. 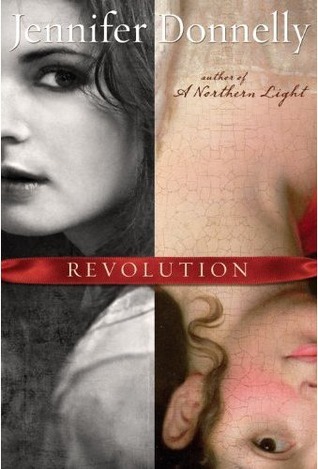 But for me, what was lacking was the emotional involvement I usually feel with the characters in various retellings. I know this is tragedy– I usually care more. It’s hard to imagine more complete, complex, gorgeous tragedy than what Homer accomplished with the Iliad and the Odyssey. With such an extraordinary depth to their scenes and themes, it’s no wonder these epics have been mined for nuggets time and again. 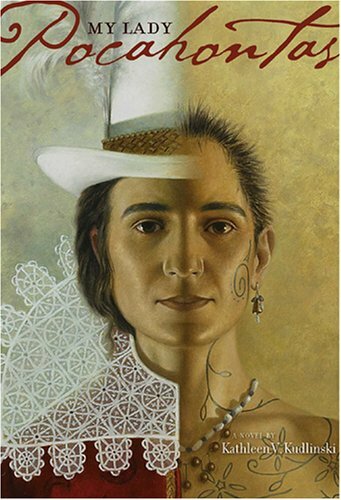 Each character in the tale—experiencing the events differently but within a framework that readers will recognize—is a gold mine of possibility. One latest take on the story, Laurel Corona’s Penelope’s Daughter, is a worthy addition to the genre. Corona examines the myth from the standpoint of those Odysseus left behind in Ithaca when he reluctantly went off to Troy. 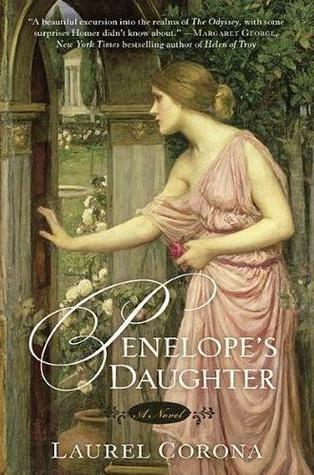 But rather than telling the story through the eyes of the steadfast and wily Penelope, Odysseus’s wife, the author invents a new point-of-view character, Xanthe, their daughter. This is a beautifully written story, ripe with skillful imagery, that captures the essence of the epic in an original way. It is rich in the details of every day life. The female characters are strong and sympathetic. And I very much enjoyed viewing Helen and Penelope from this new perspective.